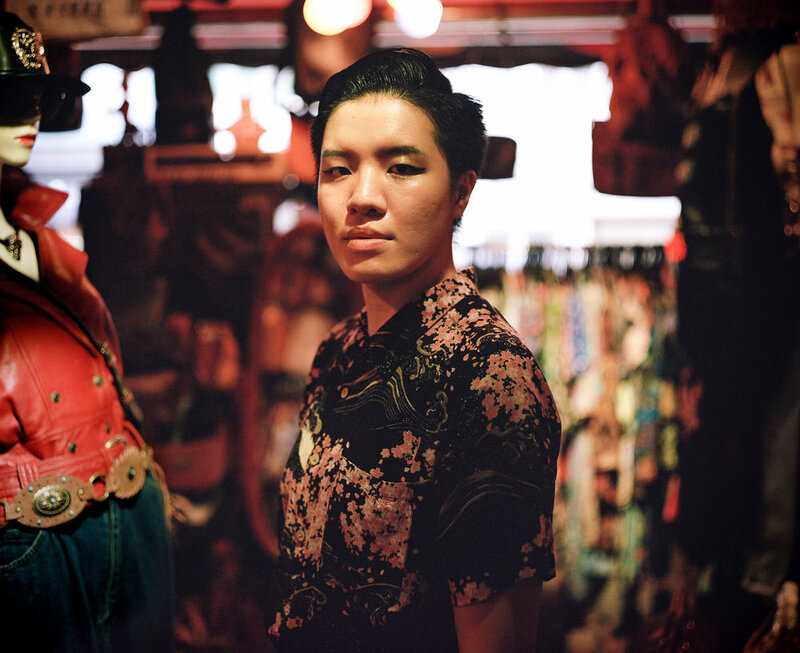 is a non-binary trans musician, artist and advocate from Hong Kong. The singer-songwriter and keyboardist has performed in Hong Kong, Berlin and the Twin Cities. They have shared the stage with at17 as a guest performer at the sold-out “Girls Girls Girls” concert in Queen Elizabeth stadium and with Anthony Wong Yiu Ming at the inaugural Pink Dot Hong Kong. The grant recipient of Renaissance Foundation Hong Kong’s Talent Development Scheme released their debut EP Porcelain Soul (Universal Music Hong Kong) in 2015. Chan is the vocalist of local quintet the prototyke lab. Their originals are featured on West Kowloon Cultural District’s “Freespace Mixtape Vol. 1” (2017) and “Freespace Mixtape Vol. 2” (2019). They studied traditional Ghanaian drumming under the tutelage of master drummer Sowah Mensah at Macalester College (Saint Paul, Minnesota,) and have performed with the Hong Kong-based Ghanaian troupe Oulamii Sooj. LGBTQIA+ issues and racial equality are issues Chan is passionate about. They have recently spoken at TEDxHKU on their experiences as a trans person. They served as the coordinator of Amnesty International Hong Kong’s LGBTI volunteer group, and is an alumnus of Resolve Foundation’s fellowship program. They are also a contributor at online cultural magazine Still/Loud.